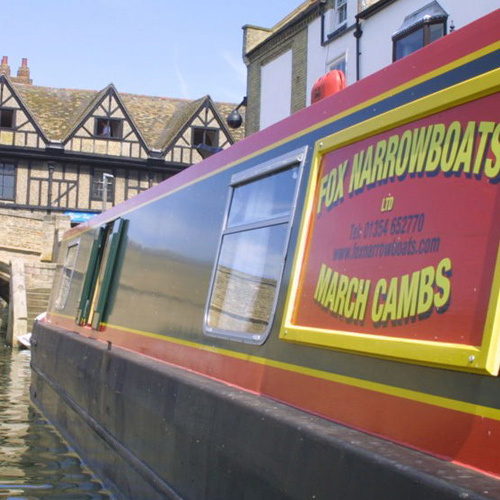 Short Business Description: Boat hire near Cambridge and Ely. Weekend, midweek or week breaks. Live onboard boats have fitted kitchens, bedrooms and showers. Boat hire near Cambridge and Ely. Our marina and hire base in March has 7 canal boats for hire, 200 moorings and a slipway for boat repairs and narrowboat builds. Escape the hustle and bustle of everyday life and cruise the rivers on one of our canal boats. Boats can be hired for weekend, midweek or week breaks as well as 10, 11 or 14 nights. In addition we have day hire boats which take up to 10 people. We are nestled in the Fenland Waterways on the Middle Level close to the River Ouse and River Nene with Ely, Cambridge and Peterborough within easy reach. Our friendly family business & boat hire experience stretches back generations.